It’s episode 3 of “In Country” and time for a little R&R for Ed Marks and his friends as they take a long weekend in Saigon but wind up getting more than they bargained for in The ‘Nam #3: “Three Day Pass.” The issue was written by Doug Murray, pencilled by Michael Golden, inked by Armando Gil and features events from April 1966. 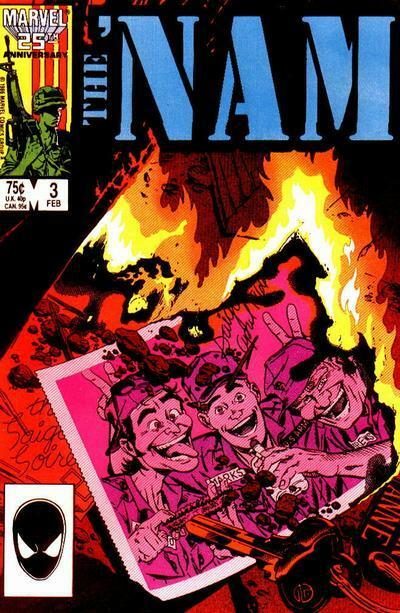 As always, in addition to the summary and review of the issue I’ll be talking about the story’s historical context as well as taking a look at the letters, ‘Nam Notes, and ads. ← Pop Culture Affidavit, Episode 14 — Life is a game. Easy to start. Hard to finish.